The trailhead is on Rich Mountain Road which is a one-way gravel road leading from Cades Cove. It is inaccessible during the winter months. Other access is from Rich Mountain Loop Trail, Rich Mountain Trail and Crooked Arm Ridge Trail. Indian Grave Gap Trail climbs steadily from the trailhead for the first 2.3 miles averaging a little over 489 ft. per mile. Once on the ridge, the trail is a descends ever so slightly and is a delightful walk along a ridge. AT 1.1 mile, the trail intersects with Rich Mountain Loop Trail which leads 3.4 miles to Cades Cove. 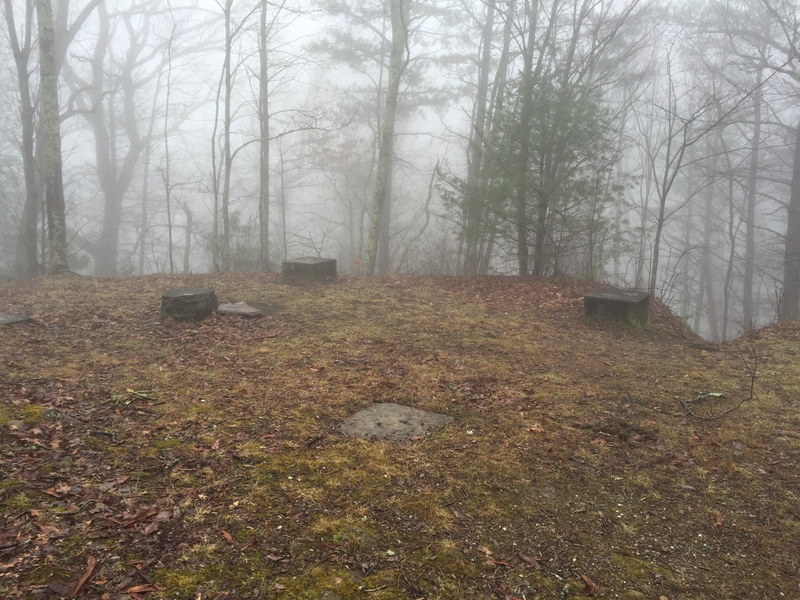 At 1.4 miles there is a side trail leading 200 feet to an open nob where there remains a foundation for a fire tower. At 1.9 miles, the trail intersects with Rich Mountain Trail that leads 2.3 miles down to Rich Mountain Road at the Park Boundary. 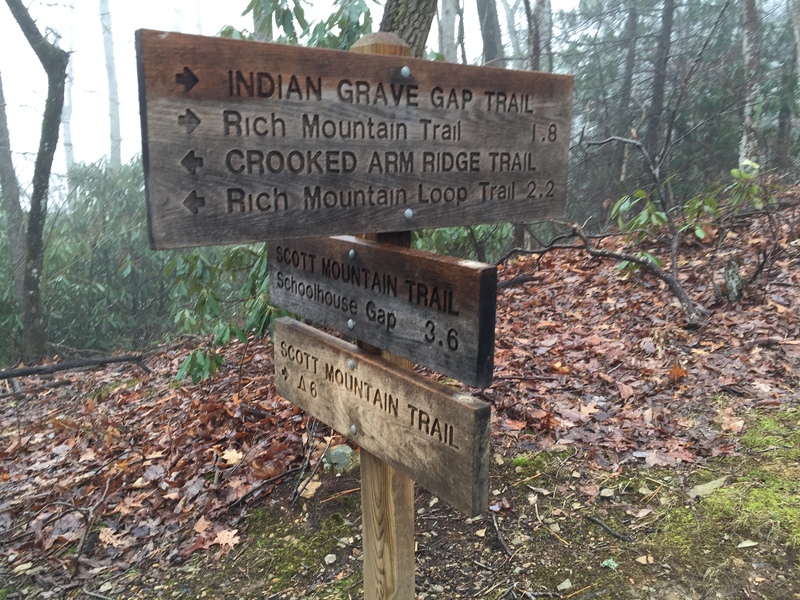 The trail ends at the intersection with Scott Mountain Trail and Crooked Arm Ridge Trail which leads 2.2 miles to Rich Mountain Loop Trail. 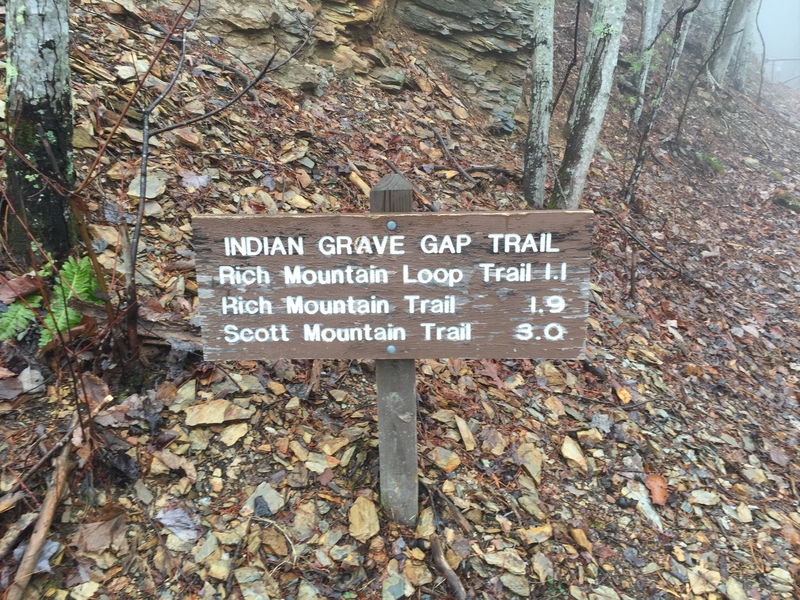 This entry was posted in Trail Log and tagged Cades Cove, Indian Grave Gap Trail on December 31, 2015 by blogginggazelle.